Autoplay mode is ideal when you want to use a story map in a public kiosk, such as a visitor center or museum exhibit. It's also useful if you want to display live data and cycle through maps to show the latest information, such as in a command center or emergency operations center. 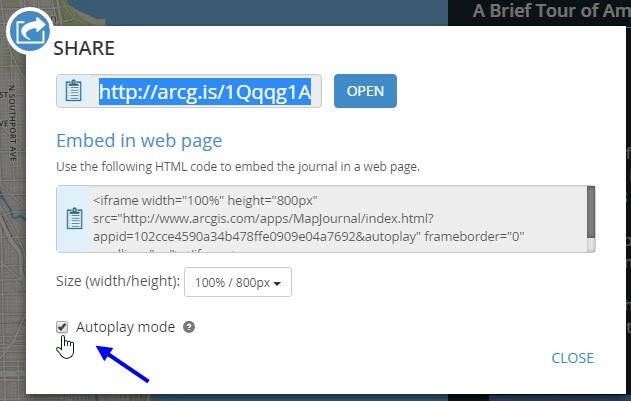 Checking the box below will add "&autoplay" to both the short link and the embedded HTML file.